Workplace Access & Safety often uncovers savings for Commercial builders during the planning phase of the project thanks to an expert interpretation of the designer’s intentions that can prevent costly rework and rectifications. Ask us how we can create a package to use in your next tender. 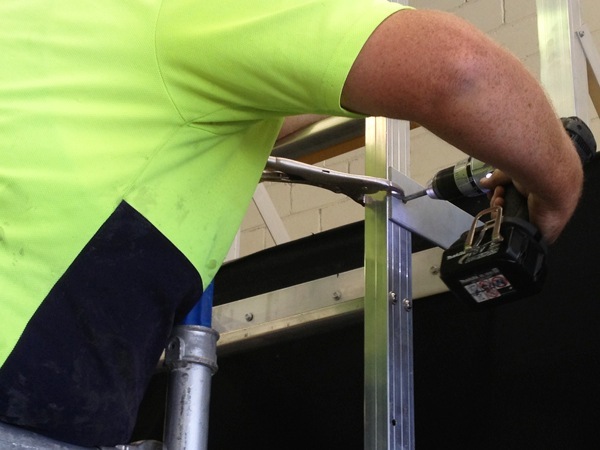 Based on the concept and requirements specified, Workplace Access & Safety design a system considering all hazards and risks, cuts unnecessary costs and complies to working at height laws and Australian Standards. Specialist fall prevention draftsmen produce layout plans using CAD to illustrate the hazards our system is controlling and the location of the equipment. Layouts are markedup to ensure hazards are clearly identified to justify each piece of equipment. Our quotes are broken down by work area to make an ‘apples for apples’ comparisons. In addition to $20 million public liability insurance coverage, Workplace Access & Safety’s many certifications include CM3 prequalification, ISN and iProLive verification. Its client list includes government, construction and blue-chip corporations. 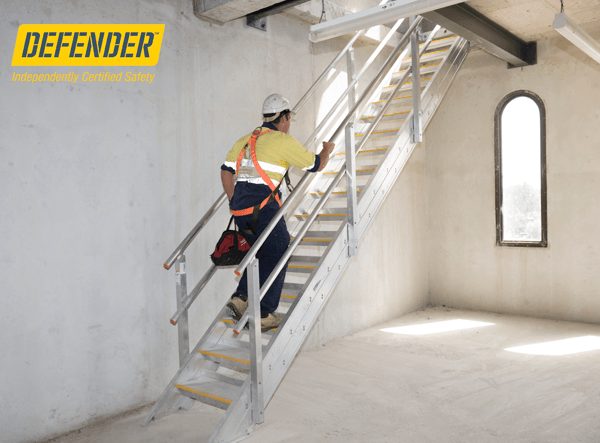 Australia’s most highly credentialed height safety provider, Workplace Access & Safety is a safe, reliable and easy contractor to have on site. Workplace Access & Safety is independently certified to Australian Standard AS 4801, the benchmark for full compliance to WHS/OH&S regulations. AS 4801 certification guarantees that our height safety inspectors are preparing SWMS and other safety critical documents and working safely on your site. Workplace Access & Safety products are tested in our own NATA™-accredited laboratory, our manufacturing facility is ISO 9001 certified and the products themselves are independently certified by SAI Global to the appropriate Australian Standard. The CodeMark™ certification guarantees compliance of Workplace Access & Safety Defender™ height safety products with the National Construction Code (formerly the BCA). Workplace Access & Safety staff will observe your protocols on site and because we do the work directly rather than subcontracting, we can guarantee our staff are properly briefed for your job. We understand that timeframes are all-important in construction and can shift. Workplace Access & Safety will be as responsive and flexible as possible to accommodate your schedule. Our products are also designed with the construction industry in mind. Workplace Access & Safety’s Defender™ equipment is designed and prefabricated in our manufacturing facility into a modular format so time on site is limited to installation. It all adds up to minimal impact on your build and truly efficient scheduling. Workplace Access & Safety prides itself on getting the job right, first time around but does not hide from any issues that might arise. We are transparent, attentive and communicative throughout our projects. If you do find yourself concerned about any aspect of the job, you will enjoy immediate access to our most senior people for rapid resolution. When you engage Workplace Access & Safety, it’s for the long term. Please provide any additional information that you feel is relevant. Please upload any plans or drawings. Accepted file types: pdf, png, jpeg, jpg.